Nilufar Nuriddinova is one Bukhara's most experienced guides. She knows the city like the back of her hand. Nilufar graduated from the faculty of foreign philology at Bukhara State University and she will contribute occasional articles about this remarkable city. Chor Bakr necropolis is one of the biggest architectural ensembles of Uzbekistan, situated 6 kms west of Bukhara at a place known from antiquity as Sumitan. Sumitan means “wool weavers”, as this was the primary occupation of the inhabitants in the past. 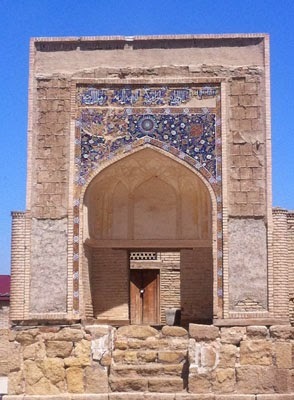 The ancient road from Bukhara ended right at its gate. Few tourists visit Chor-Bakr – it lacks the dazzling tile work of Samarkand’s Shah-i-Zindar necropolis. However, it is a calm and beautiful place, well worth exploring. It was entered into UNESCO’s World Heritage Tentative List in 2008. Abu Bakr Saad Yamani - was a descendant of the Prophet Muhammad and an imam of a mosque in Mecca. When he came to Bukhara he became a spiritual adviser to the ruler, Ismail Samani (The Samanids were the ruling dynasty in the 9th and 10th centuries AD). Abu Bakr Mukhammad ibn Fazl Yamani – was the richest among the four men and financially supported the caravans which came to Bukhara. He also collected the sayings of the Prophet, known as khadises. Abu Bakr Mukhammad ibn Homid Yamani – was a sheik and scientist. Abu Bakr Abdulloh Tarkhan – assisted the Saminid rulers develop laws based on the Koran. It is said that Abu Bakr Saad heard that on judgment day there would be eleven gates open to paradise and that one of those gates would be in Bukhara. He organised a large caravan bound for Bukhara. It included Sufis, students of Abu Bakr Saad, merchants and scientists. Even some Arabian masters heard about the caravan and gave Abu Bakr Saad a beautifully carved marble gate, asking him to place it where they themselves would come and stay. A small piece of that gate can be seen today - it was hidden by a descendant of the Chor-Bakrs during Soviet times. Because of the services that the Bakyrs rendered to the Bukharan ruler, Ismail Samani, they were given 40,000 hectares of private land at Sumitan where they constructed mosques, madrassahs, mills, caravansaries, tim (covered bazaars), bakeries and other workshops. Local people found employment in these businesses and their families received free education. Every morning local people were given 1000 fresh loaves of bread free of charge by the order of Abu Bakr Saad. As the area prospered, the Bakyrs bought more land and developed more projects with the local community. For example, there was a canal that was always full of water. However, ordinary local people could not use that water. The Bakyrs bought the canal and let anyone use the water. Abu Bakr Saad and Abu Bakr Homid are buried in the northwestern part of the complex. The other two were buried in a cemetery that was dug up during the Soviet period. After independence a college of law and high school specialising in the German language were constructed on the site. During construction many bones of the deceased were discovered and they were placed in a kind of mausoleum near the college. 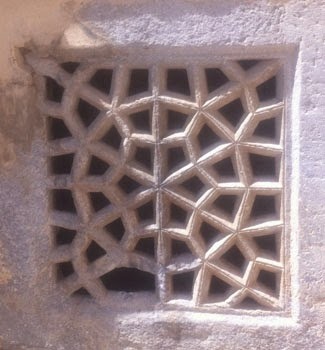 In the Chor Bakyr complex there are 36 different buildings: 22 khaziras (burial places), a hammam (bath house), a madrassah, a khanaka (hostel for Sufi dervishes) and mosques. The people of the original caravan who had come with Abu Bakr Saad and all his descendants are also buried there. Most people who live around the complex today consider themselves descendants of the Chor Bakrs and are called khodjas. Even today, when they die, they are buried in special khaziras not in the common cemetery. After the death of the four Bakrs the name of the settlement became known as Chor Bakr. In Soviet times, when large collective farms were created, the area was called Kolkhoz Pravda (Truth Collective Farm). After independence in 1991, the area reverted to Chor Bakr. During the Soviet period the Chor Bakyr monuments deteriorated – no maintenance was done. 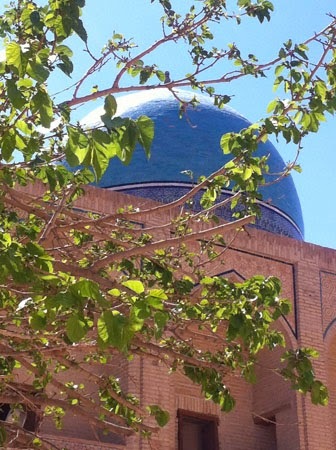 Under the initiative of the president of Uzbekistan, Islam Karimov, major restoration works were undertaken in the 1990s. Today the beautiful complex is a pilgrimage site. When you visit such a place you feel something fresh in mind and body: such places have a kind of spiritual power. For me, it is because in this place the holy words of the Koran have been sounded every day for a very long time. I must add that if succulent lamb cooked in a tandyr oven takes your fancy, then you must stop at the Milly Taom restaurant in Chor Bakyr. It is at the turn off from the main road to the Chor Bakyr necropolis. Such is the reputation of this simple restaurant that people come from far and wide to eat there. Every taxi driver knows this restaurant.